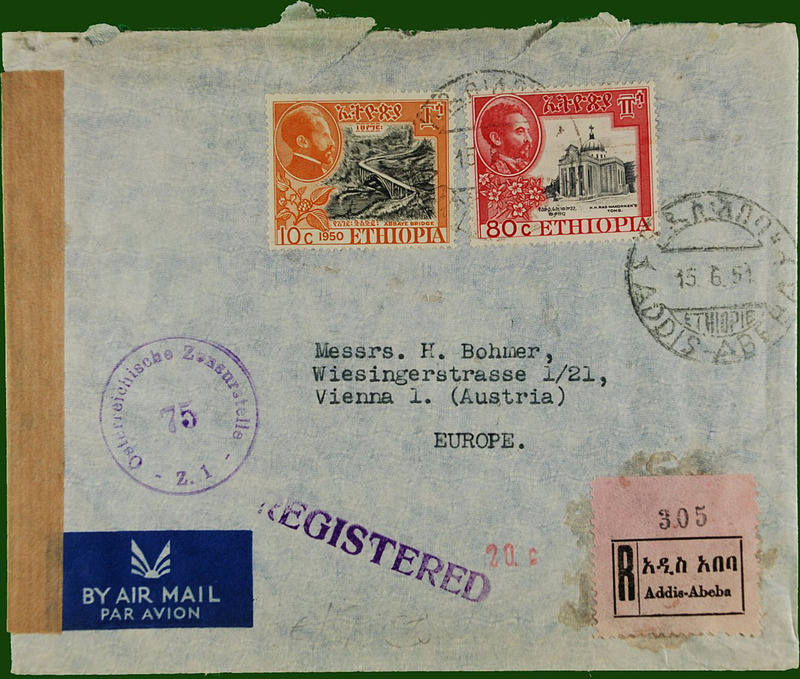 F/F Addis Ababa to Djibouti, bs 18/6, plain cover franked 1931 airs 1g,2g,4g with tabs, canc Addis Ababa RP/18.VI.1931 cds, nice black/blue 'Par Avion/Addis-Abeba'-Djibouti' airmail etiquette. 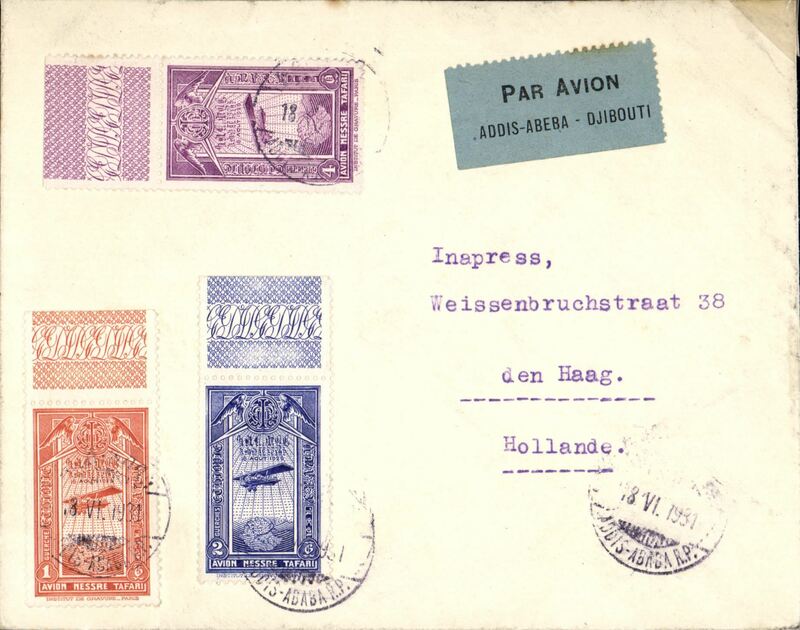 Imprint etiquette registered (label) air cover to Vienna, no arrival ds, via Farouk airport, Cairo 16/7, 90c canc Addis Ababa cds, brown censor tape, violet Osterreichische zensurstelle z1/75 hs. 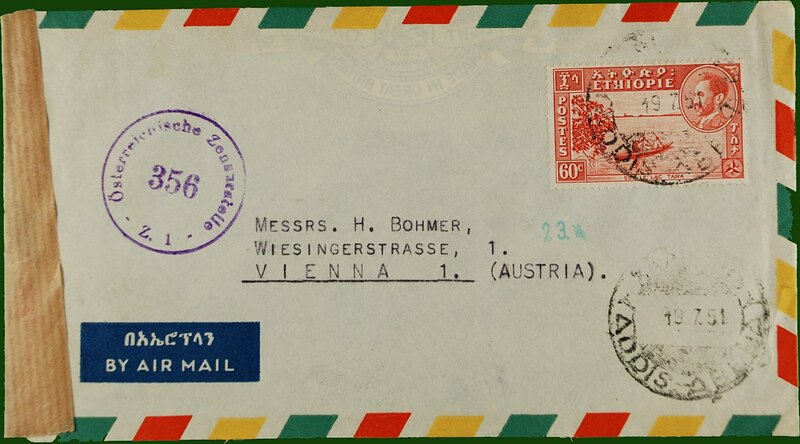 Imprint etiquette air cover to Vienna, no arrival ds, franked 60c canc Addis Ababa dr. cds, sealed brown tape, also violet "Osterrieichhische zensurestelle/356/z1" circular currency control mark. Ethiopian Airlines F/F B707 Addis Ababa to Madrid, souvenir cover, 10x20cm, b/s.